An applied i-cord edge makes a finished project look exponentially more professional. Once you know this technique, gone will be the days of worrying about rolling or messy edges. Though it does take time, patience, and a whole lot of extra yarn, it is definitely worth it! The applied i-cord can be used in straight knitting along just one or two edges, like on the short sides of a scarf, or for finishing a project knit in the round like the top and bottom openings on a pair of fingerless gloves. Check out the video below for a basic, applied i-cord video tutorial. Pro Tip: For a clean edge that really pops, use a complimentary color for your i-cord edging. Cast on 3 stitches using either a long tail or provisional cast on. Slide cast on stitches to the opposite end of your knitting needle (without turning the needle around), so that the working yarn is coming from your third stitch. Row 2: Just as you began, slide stitches to the opposite end of your knitting needle (without turning the needle around), so that the working yarn is coming from your third stitch. Repeat Rows 1 & 2 until all outside edge stitches are picked up and the i-cord runs either the entire length or circumference of your knitting, depending on your project. 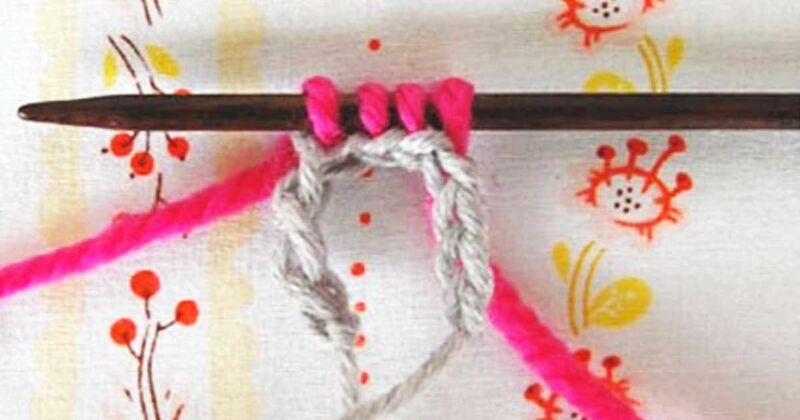 If you are using applied i-cord around the entire circumference of a project, like a blanket, remove your provisional cast on (if using), and join your cast on and i-cord edge to your final live i-cord stitches or your bound off i-cord edge.